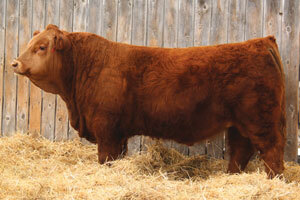 This will be the third year we consign our bulls in the family Your Choice Bull Sale. 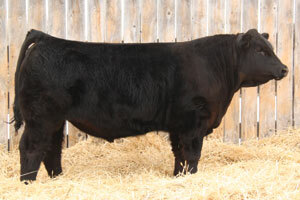 The three Simmentals we selected for this sale fit the criteria the bull buyers in our area to the T. We have one excellent Red / Non-Diluter son of SHS Enticer P1B, one black sons of the AI Sire ACC1 Hustler P1B, one of which is Homozygous Polled, and one black Homozygous Polled Son of our Walking Herdsire Kimlake Fixation 16T. Please feel free to call for more information, stop by for a visit or request a catalogue . 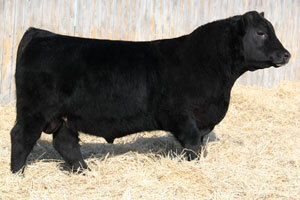 As always, we will be consigning all of our Black Angus Bulls to The Your Choice Bull Sale. 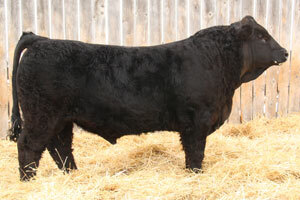 There will only be one Black Angus Bull for Sale but he's a whopper. He's out of DUFF New Attraction, a truly impressive up and coming young sire. Please feel free to call for more information, stop by for a visit or request a catalogue or DVD.